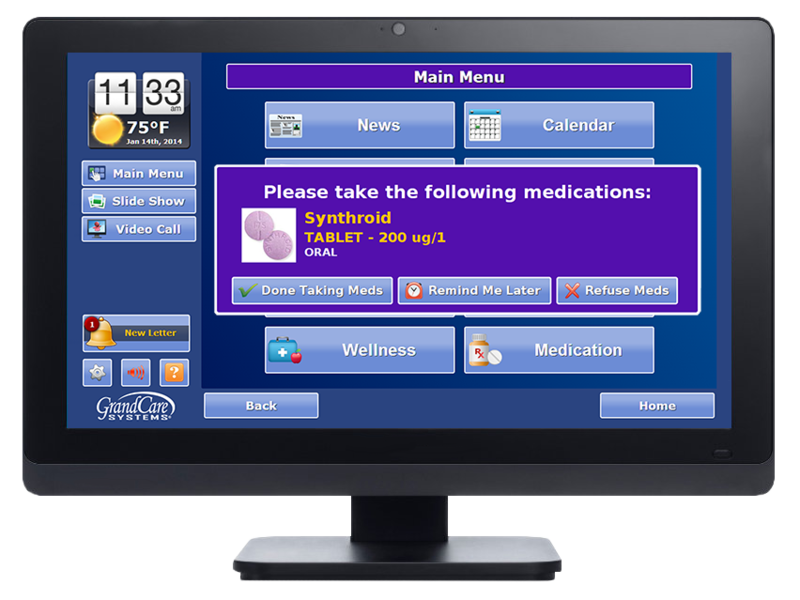 International, leading technology innovation software, GrandCare Systems has been selected to be showcased at the Point Click Care Summit in Orlando Florida November 2-4pm. Each year the Point Click Care Summit offers the latest and greatest in innovation, education and trends throughout the aging service organization community. grandCARE’s simple, touch platform enables an individual to view pictures, receive incoming messages, watch videos, video chat with family/healthcare staff, listen to music and play fun games. Using a series of wireless activity and telehealth devices, grandCARE can alert designated caregivers by phone, email or text if something seems amiss.